the icarus series. Number Three in the Seven Kitchens Press Editor’s Series, selected by Ron Mohring. 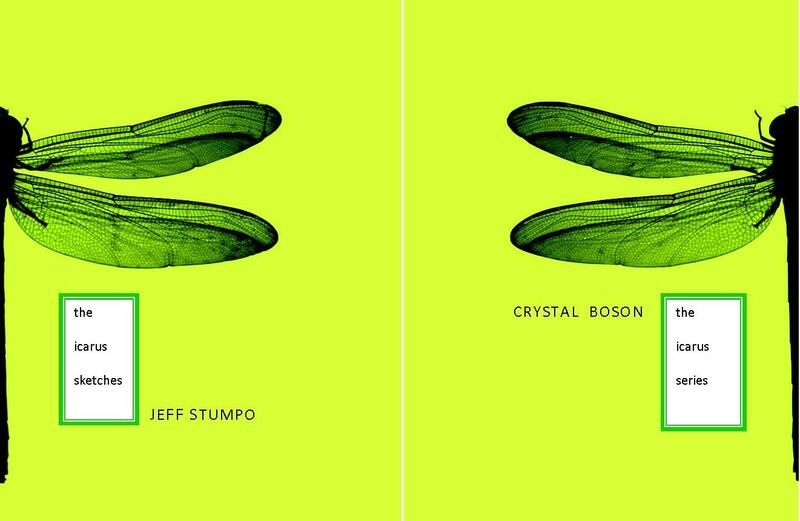 Bound as a single tandem volume with JeFF Stumpo’s The Icarus Sketches, the Z-fold spine allows both books to be read back-to-back: there is no “top” or “bottom” half. Crystal Boson received her Master’s Degree from Texas A&M University, and has been recently published in Callaloo. She currently resides in College Station, Texas, where she is working on a collection about Hoodoo, Roller Derby and Homeland Security. the icarus series is her first chapbook. Please visit her Twitter account if you would like to keep abreast of her creative exploits.